HAPPY NEW YEAR!! 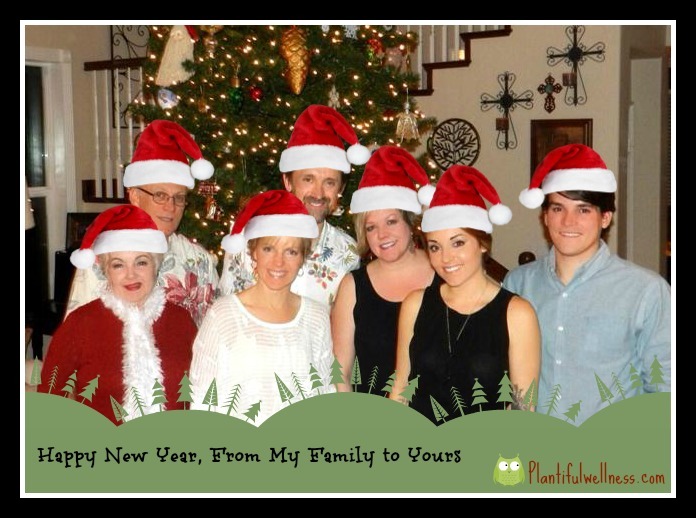 I hope you all had wonderful holidays and are getting back into the groove, ready to take on 2014! It sure got here quickly, didn’t it? For those of you who have made a resolution to eat better (and, let’s be honest, who hasn’t), I’m hoping you will utilize my website more often. I have big plans to revamp and improve it, making it easier for recipe searches, etc. As well, I begin my plant-based cooking school this month and hope to come up with lots of new dishes. Let’s get things started off right with a low-fat, gluten-free, vegan, tasty zucchini muffin recipe (see below). I came up with these on a Sunday morning when I was feeling that creative cooking bug that pokes at me so often. Seemed like a good time to create a muffin of some kind. I opened the fridge to seek inspiration only to have the zucchinis practically throwing themselves at me. Hence this Zucchini Oat Muffin recipe was born. Many recipes I come up with require tweaking and a second or third go around before I can share, but not this one! I got lucky first time around. And now you’re getting lucky! For this recipe, I used a combination of gluten-free flour (I really like Trader Joe’s brand) and oat flour made with certified gluten-free oats. You can make your own oat flour by using your blender to grind the oats. Super easy! These muffins are only slightly sweet and are especially delicious warmed, with a TINY bit of vegan butter if you’re feeling dangerous, (and I was). 🙂 I find these keep best refrigerated after the first day, wrapped in a cloth napkin. Also, if you are feeling adventurous, sub some of the zucchini with carrot! Feel free to leave out the walnuts if you don’t like them or are eating an extra low-fat diet. I love their flavor and texture in this dish, and the nice dose of Omega 3’s they (and the chia seeds) provide. Enjoy!! I’ve posted this recipe to Yummly.com as a guest blogger. 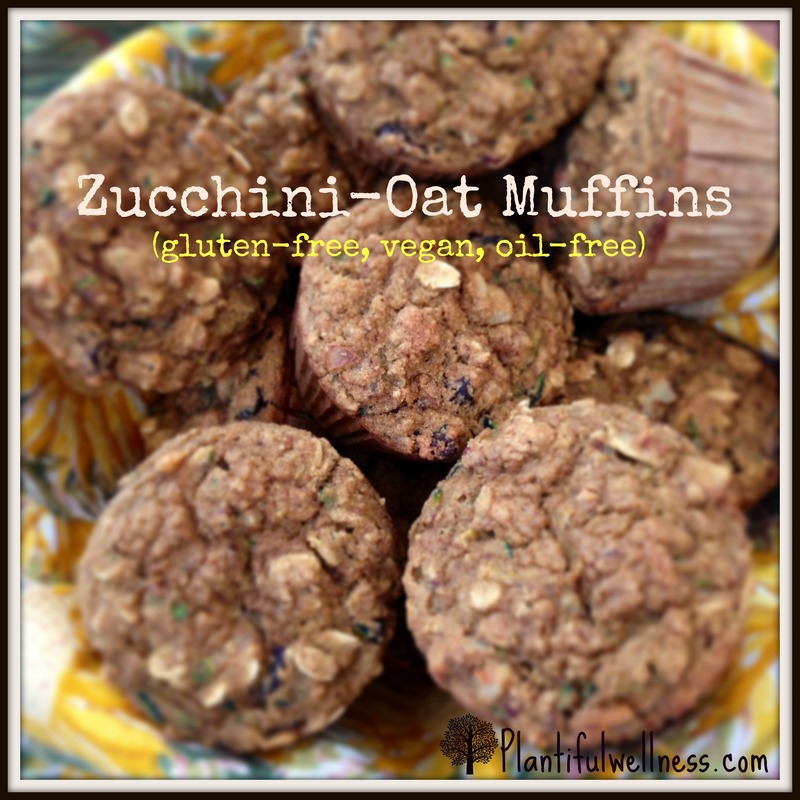 Please visit my post at http://blog.yummly.com/blog/2014/01/healthy-vegan-gluten-free-zucchini-oat-muffins/ Enjoy!! Approximate nutritional info: with walnuts – 153 cals, 3.75 fat grams; without walnuts -125 calories, 1 fat gram. UPDATE: I made these muffins with ALL oat flour when I was out of gluten-free all purpose and they were great!! 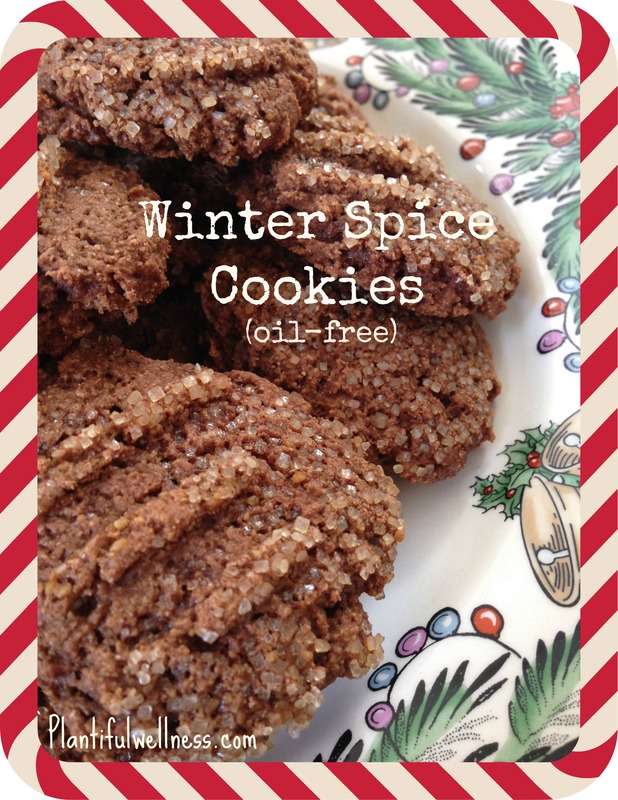 These cookies have the flavor of a gingersnap, and the texture similar to a molasses chew. Usually I make things a few times after I create them before posting the recipe but not this time. I’m just that eager to share. I’ve been asked several times lately if whole wheat flour can be used in place of oat flour in my recipes similar to this one. My answer is yes, however I’d use whole wheat pastry flour since it’s finer than regular whole wheat, which may be too coarse. Using all whole wheat in this recipe, as opposed to half oat and half wheat, would probably result in a less dense cookie, which may or may not be your thing. Personally, I’m all about dense. As I’ve mentioned before, light and airy makes me feel like I ate just that – AIR! 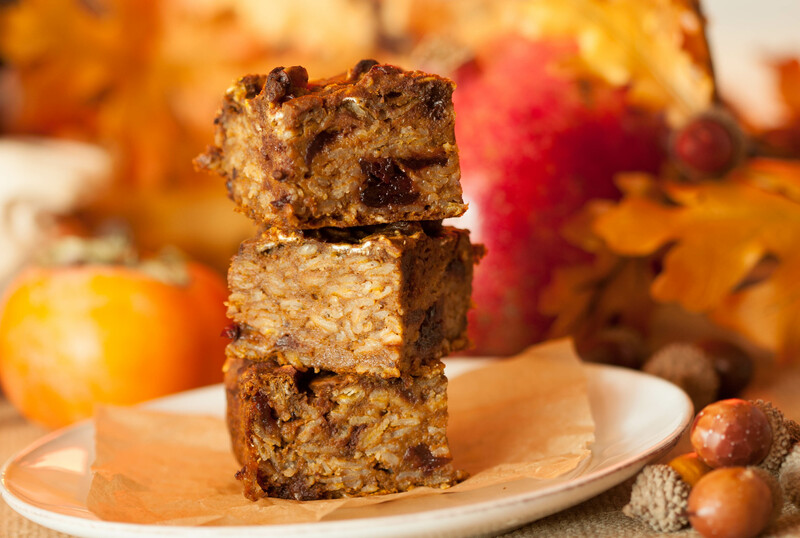 The reason I use oat flour in so many recipes is not because I have anything against wheat. I don’t. It’s just that wheat is everywhere, in so many forms. I just like to sub other types of flour, and stay away from wheat when easily doable so that I’m eating more variety, and not so much wheat. As well, many people eat gluten-free diets so I try to incorporate as many suitable recipes as I can into my repertoire. Gingerbread Muffins! Vegan, Oil-Free, Low-Fat and Tasty! I created these muffins using the nervous energy I had yesterday, election day. I find elections, and politics in general, very stressful! Creating recipes and cooking is therapeutic for me. Combine that with the fact that I LOVE gingerbread, and you have these moist, delicious muffins. UPDATE 11/11/12: I made these again but added a little holiday twist this time around. I sprinkled crushed peppermint candy on top before placing muffins in the oven. The combination of peppermint and gingerbread was a real treat! For any followers out there who don’t love pumpkin, I do apologize. I realize this is my 3rd pumpkin recipe…so far. 🙂 I told you – I love pumpkin. And I’m going to utlilze it as much as I can this fall. The picture shows a loaf made with a combo of dried cranberries and chocolate chips. You can use one, both, or neither – it’s yummy either way! So, if you like pumpkin, bust out the baking supplies and enjoy this tasty Pumpkin Loaf. It’s easy to make and really satisfying.